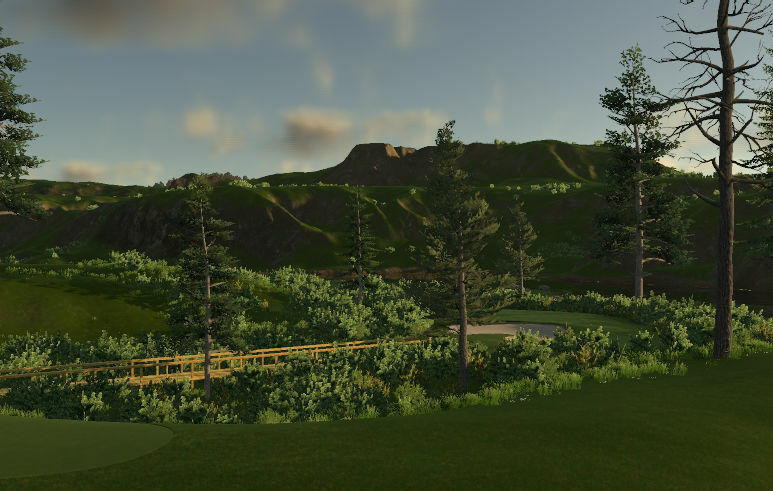 My first course created using the new fairway/rough tools provided by HB. Creative and imaginative course that plays on the difficult side. I'm going to start this review with a walk down memory lane. 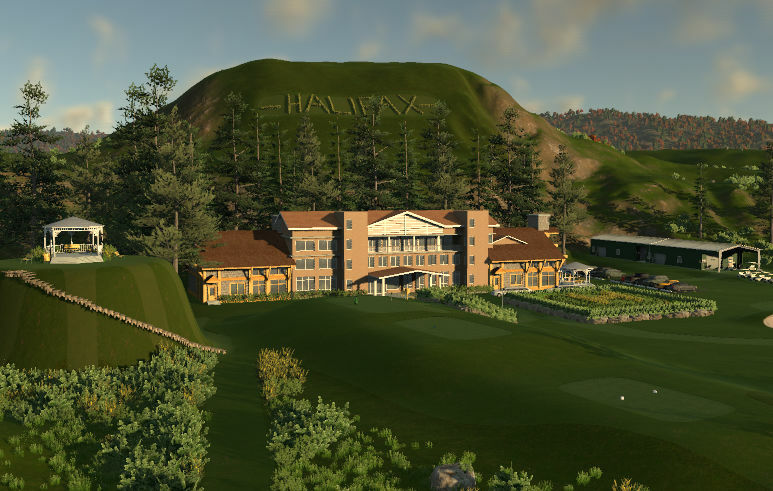 I had been playing TGC for a couple of months when one day this gem appeared in the suggestion box on the course selection screen. I hadn't heard of tgctours at that point yet, and would just select a course to play my meandering around the listing and would choose them if they had an interesting name or something. I went ahead and fired the round up, and after experiencing its magnificence, this was the standard by which I judged all other courses. Structurally, this was the standard of its time. I had never seen such beautifully crafted multilevel fairway. Most holes are divided into a plateaued landing area, and then a second shot over a gorge on creek, or general waste area. The fairways are super firm and super tight, and expertly designed. The greens are extremely challenging to get the ball close to the pins on your approach. This was also the first course I played that featured extensive greenery and planting. If my memory serves me correctly, it came out after the first major update with upgraded editing tools, and featured meticulously crafted stair cases, and utilized the new terrain brushing tools. The course still stands up to the test of time. Insanely beautiful,technically brilliant, and offers every type of challenge. Truly ahead of its time. If you've never played it, do yourself the favor and take it for a spin. Several updates later, this course is no longer the pinnacle of design superiority. Now that I'm far more experienced, and can say that there is a definite failure to balance its firmness with fairness. There is also some recklessness in that your ball can be permanently trapped under the ornate wooden steps spiraling up to the green. The spirit of this review is to pay the course a tribute, for changing my perception of what a great course could be. 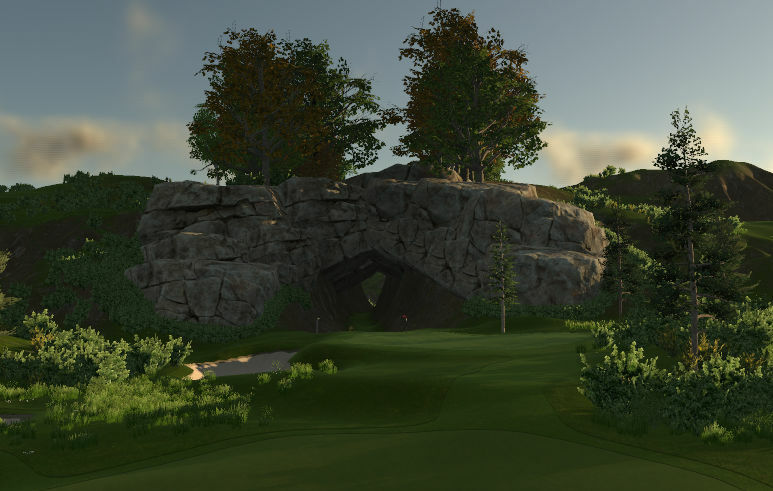 Early examples like this are what really drew me in to the game, and are responsible for my infatuation with TGC.